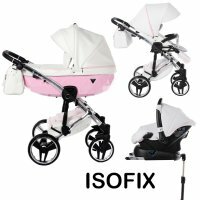 The rain cover can be used in both baby carriage and buggy modes. 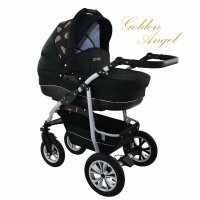 The mosquito net is quickly put on and annoying insects have no chance anymore. 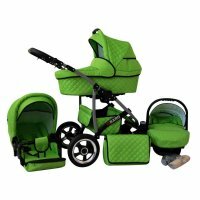 Can be used in baby carriage and buggy modes. 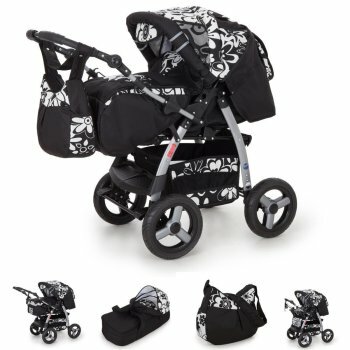 Our J-One pram has 4 springs. 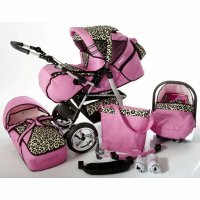 Fashionable diaper bag that can be fixed to the pushchair handle. 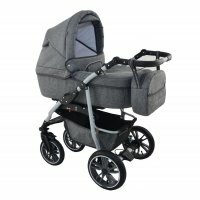 Our J-One pushchair is based on the permanently mounted sports seat, which is converted into a baby bath by the foot extension and soft carrycot. 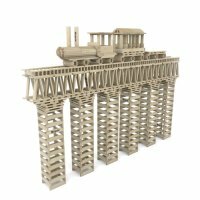 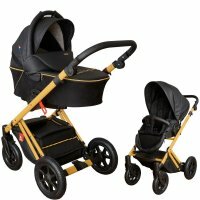 The model complies with test standards EN 1888 and ECE R 44/04. 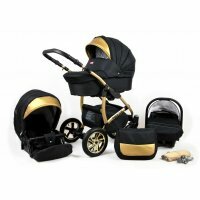 Rain protection, mosquito net and diaper bag are included in delivery. 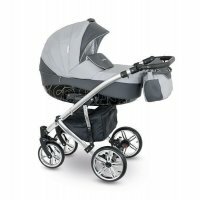 The white tubular steel frame is equipped with 4 large fixed wheels with hard rubber tyres. 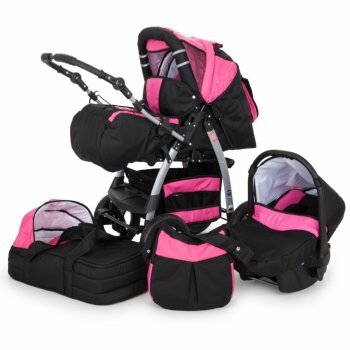 All wheels are spring-loaded. 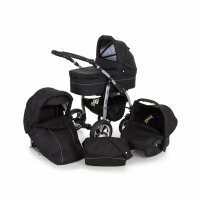 The open shopping basket offers convenient space for everything you need. 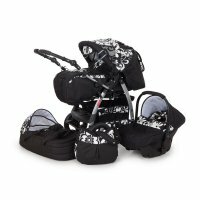 The diaper bag can be attached to the push handle. 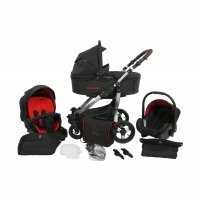 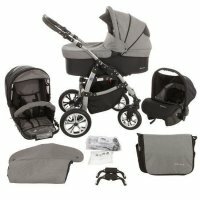 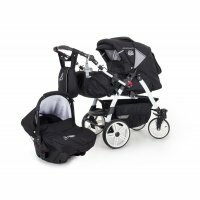 With two handles the Jaguar J-One pram is small and handy folded together or set up again. 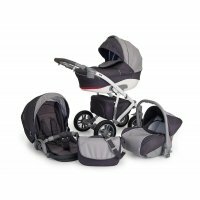 The soft carrycot is padded on the inside. 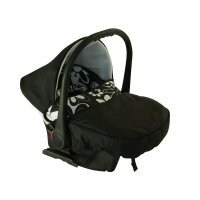 A foot cover and a hood protect your baby against cold and sun. 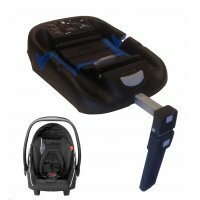 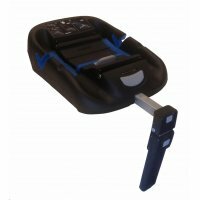 The sports seat offers the growing baby maximum flexibility for an optimal sitting or lying position: the backrest and the footrest are adjustable, a five-point restraining belt holds the child securely in position. 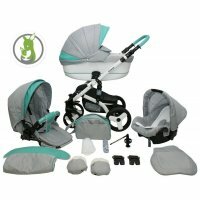 The hood can be adjusted to various positions. 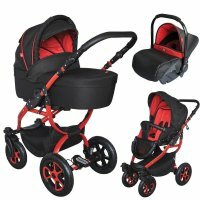 The scope of delivery naturally includes safety bar, crotch guard and a foot cover. 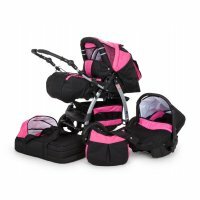 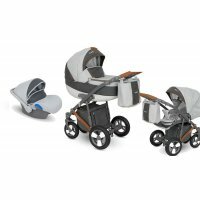 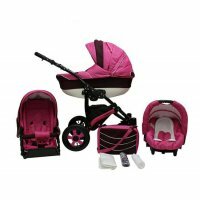 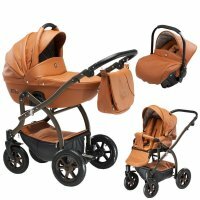 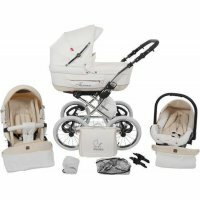 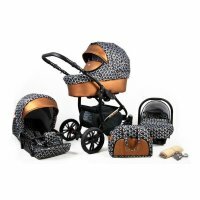 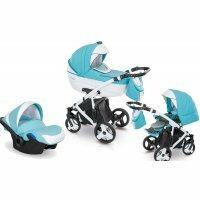 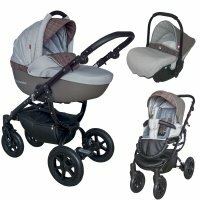 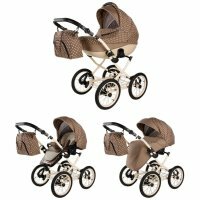 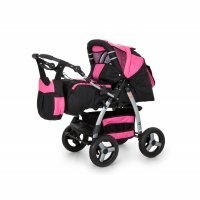 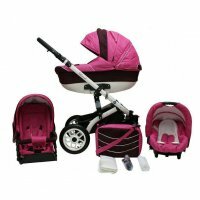 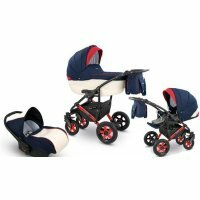 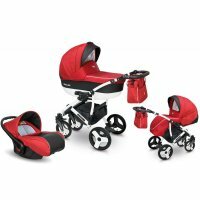 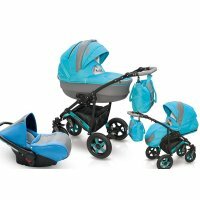 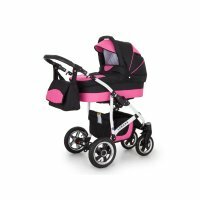 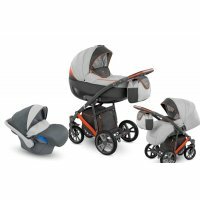 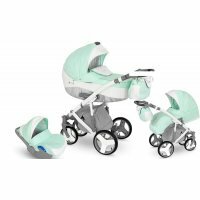 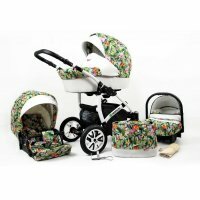 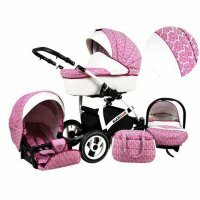 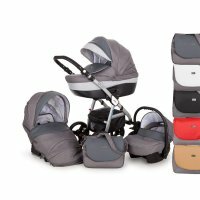 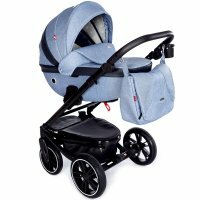 TheJ-One pram is available in many attractive colours and patterns. 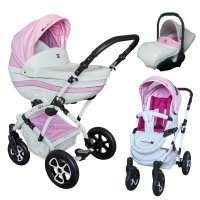 We are curious to see what you will choose, but you will certainly appreciate its handling and appearance.